This service is also monthly and comes from Canada. It costs $19.99/mnth + delivery but there are discount codes out there for your first order and, of course, it’s cheapest if you sign up for longer. They also do a selection of other boxes like the Horror Block and Arcade Block too if you fancy picking your own theme. Mine arrived on the 18th of the month (4 days before Loot Crate) and the box design seems pretty cool but I’m guessing standard to every month. 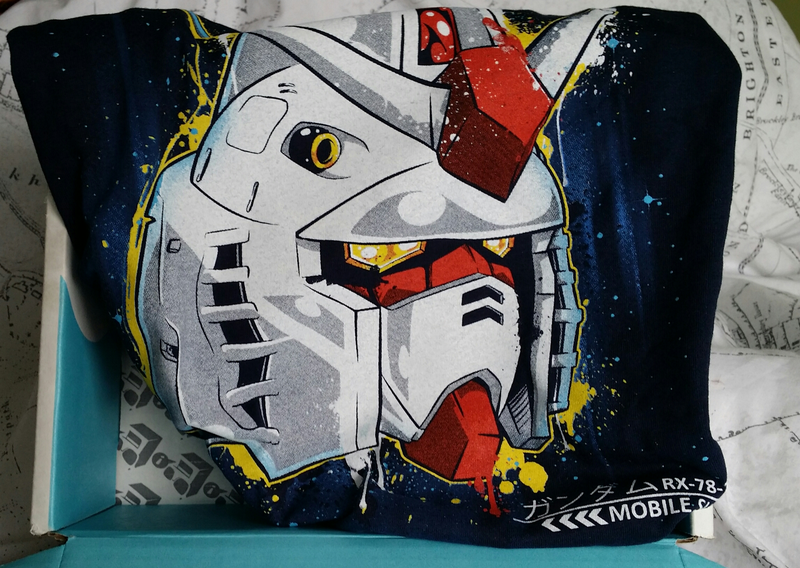 Favourite Item: My favourite thing in this crate has to be the gundam shirt. It’s just the right size and seems to be of a good quality too. I love it! Neon Genesis Evangelion manga – Volume 1. 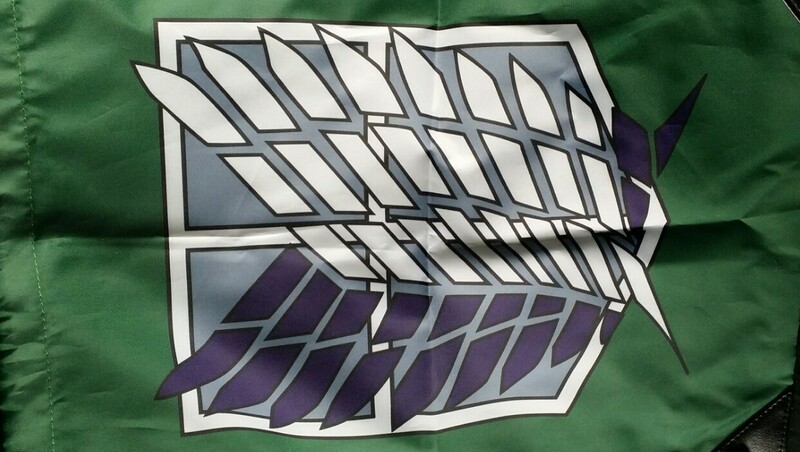 Plus, there is also a nice little Attack on Titan crest drawstring bag in which I’ll be keeping all my new goodies. 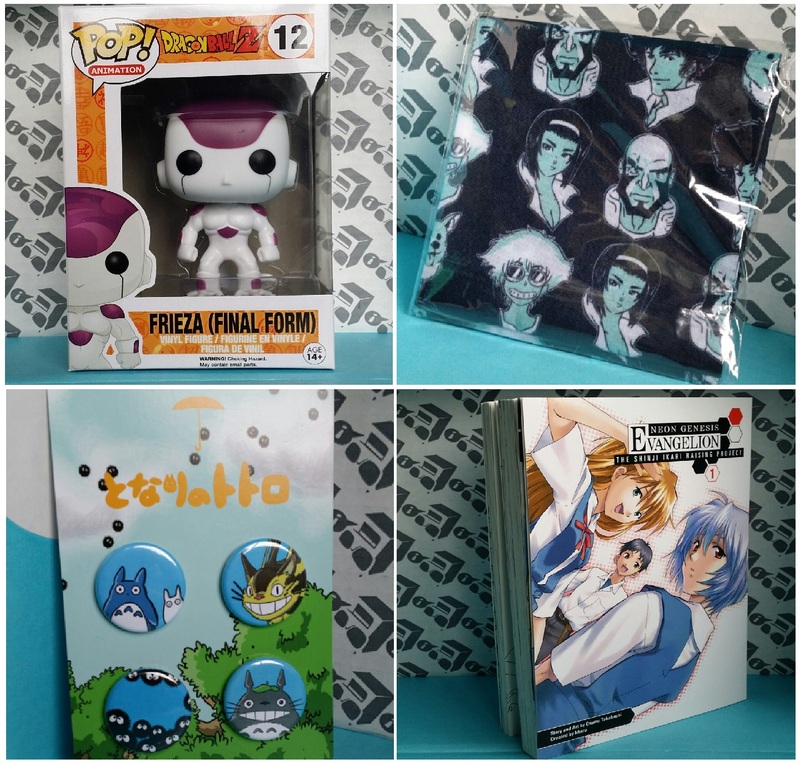 This entry was posted in Subscription Boxes and tagged Anime, Geek, May, Nerd Block, Subscription Box, Unboxing. Bookmark the permalink.